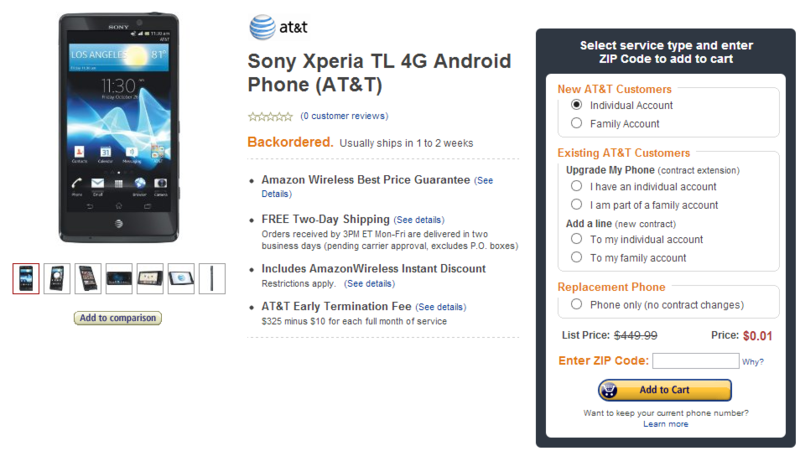 If you head on over to Amazon Wireless this morning, you'll find the Xperia TL has had its price dropped to a mere penny on contract (new subscribers or upgrades). The Xperia TL is Sony's current flagship smartphone, and packs a 4.6" 720p display, 1.5GHz dual-core Snapdragon S4 processor, LTE, and a 13MP Exmor rear camera. At the low, low, price of "basically free," this is a pretty decent deal - $100 less than what you'd pay at an AT&T store. 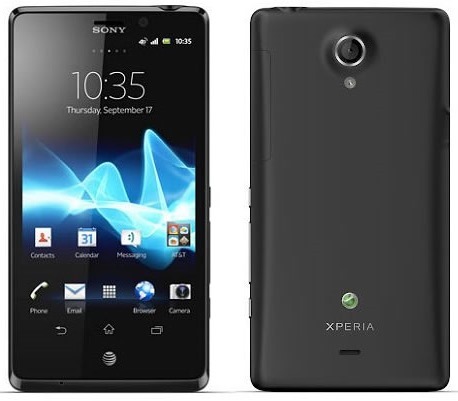 While I can't say I loved the re-styled international sibling of the TL, the Xperia TX, the TL is the James Bond phone. So there's that.